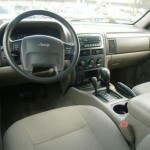 © DenLorsTools.com Summary: This auto repair blog consists of questions from a Jeep Grand Cherokee owner and answers on possible causes of over-heating and a CEL (Check Engine Light). The Jeep owner has a CEL that came on after his vehicle overheated. With no obvious leaks he asks advice. Question – The only thing I know about cars is to google the problem and hope that a clear solution slaps me in the face. Well I can’t seem to find a clear solution to the problem I’m having. I have a ’04 JGC and these are the issues. 1: Check Gauges light comes on when the temp gauge rises to all the way hot. 2: No coolant in the reservoir. I’ve always thought the coolant was supposed to come to the top of the radiator cap but it’s not. 3: Can’t find where I’m leaking any coolant. 4: Check engine light came on and read #3 Cylinder Misfire. This happened after trying to start and it misfired and wouldn’t start. Any ideas? Anything to look for? I can take to dealership but would rather try to fix myself if its the thermostat or something like that. Thanks, Aaron. 1. Check gauges light will come on to alert the driver something is wrong. In your case the Jeep was trying to show you the temp gauge and that the engine is getting severely over-heated. 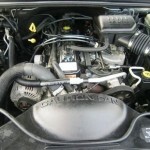 To continue driving means risking blowing a head gasket or causing other engine damage. 2. No coolant in the reservoir means the coolant is low. 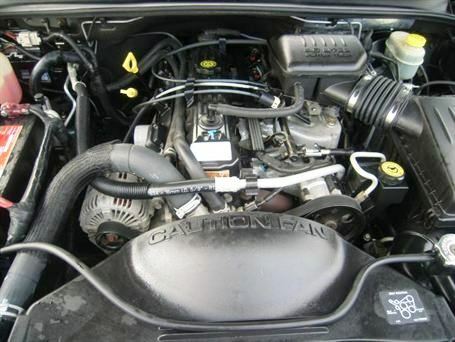 Coolant does normally flow back and forth from the reservoir to the radiator as the coolant varies in temperature. There has to be enough coolant in the system for this to occur. 3. 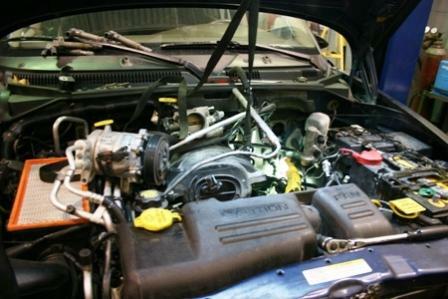 No external leaks could mean an internal coolant leak in the engine, like a blown head gasket. 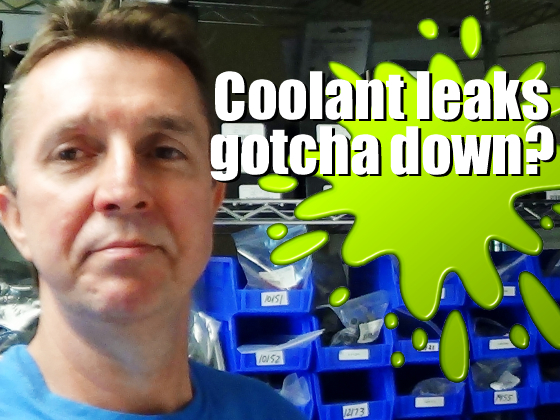 If coolant leaks into a cylinder it can cause a misfire code. With a blown head gasket, the coolant is typically turned into steam by the extremely hot catalytic converter and shot out of the exhaust, tail pipe. You may notice a white cloud or nothing unusual at all coming out the pipe depending upon how fast the leak is. 4. The #3 misfire may be caused by a spark plug, a coil or worse case scenario a mechanical engine problem like already mentioned. There’s a chance that the misfire could have been a side effect of having the overheat. It’s possible that after the engine is running at normal temp again that the misfire code won’t come back. 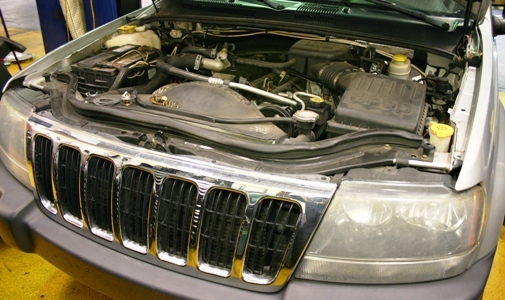 As far as the thermostat, it can cause overheating – however, by itself it would not cause coolant loss. If I were checking the vehicle, I would check the basics; Coolant fan working when it should. Check the coolant level when the engine is cool, check the engine oil for evidence of cross contamination (water in the engine oil). I would pressure test the cooling system and look for external leaks. Then remove the #3 spark plug with the coolant system pressurized and see if coolant enters the cylinder. If the cylinder is filling up with water, it can cause hydro-lock preventing the engine from cranking over. Depending upon what I found after doing the above steps; I would go from there. Good Luck. Also check out the related articles below for more information on overheating conditions. Linking: Please reference this car repair article when quoting, linking to this page is welcomed and appreciated. If you are new to linking a page. 1. Left click the link; to highlight 2. Right click, select copy 3. Right click the link and paste to car forums, auto repair blogs, car repair web sites etc. Thanks! Disclaimer: Automobile repair tips are designed for informational purposes only, without warranty of any kind, in no event shall the author of this site be liable for any consequential, incidental or direct damages sustained in the course of using the repair information in this article. All rights reserved by DenLors Auto (Automotive specialty tools /Car mechanics Tools). Keep us in mind for auto tool needs, shop supplies and car mechanics equipment. 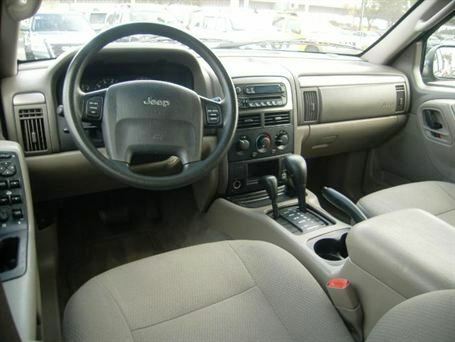 Jeep Grand Cherokee – Overheating Problems This is the article that Aaron originally commented on. 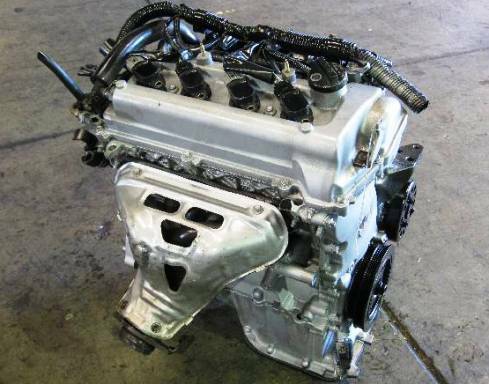 Misfire and Coolant Loss Dodge 4.7 – Possible Head Gasket A good article that shows pictures of a blown head gasket which caused a misfire code like Aaron may have.